A direct-response advertisement aims to catch a target audience (in this case, mostly women, ages 20 and over) through mailing services and to get as many hits as possible. I designed a beauty product and created a direct-mail piece advertising a product and a specific offer. 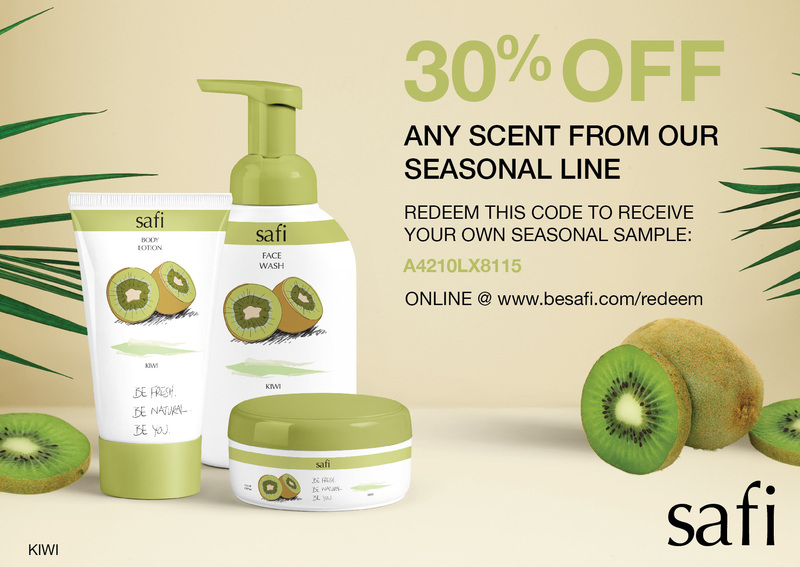 I created Safi, (‘fresh’ in Swahili), a line of moisturizers and skin creams. I wanted the brand to feel fresh, natural, and relaxing. The “flavors” of the creams were illustrated with a tablet and then mocked-up in a Photoshop document. The call-to-action in the direct-mail piece offers 30% off any scent from the seasonal line, and also provides an online redeem code to receive the offer and to learn more. The goal of direct-mail is to get your target audience interested in what you’re offering (rather than immediately trashing the junk mail) through the design and the offer.